The Square Peg Foundation, a one-of-a-kind riding program, was founded in 2004 by Joell Dunlap and her husband, Darius. Dunlap grew up around horses and became a riding instructor early in her career. In her work with different riding programs, she noticed a unique need. There were therapeutic riding programs for handicapped children, and there were riding schools for mainstream children, but there was no program for kids struggling in other ways, who needed a second chance. Thus, in Half Moon, California, Joell Dunlap and her husband created Square Peg. In her words, “we wanted to help students who, for whatever reason, wouldn’t thrive in a traditional or therapeutic riding program.” Most new clients come from referrals, especially from members of the autism community in San Francisco. Square Peg works closely with nearby racetracks in California, including Golden Gate Field. They also partner with CARMA, the California Retirement Management Account, which was created to raise money to help retired California racehorses. When someone calls wanting to surrender a horse, Dunlap and her staff ask three main questions: “What are other options for this horse?”, “Does our staff have the special skills required to help this horse?”, and “Does this horse have something special to offer our community?”. 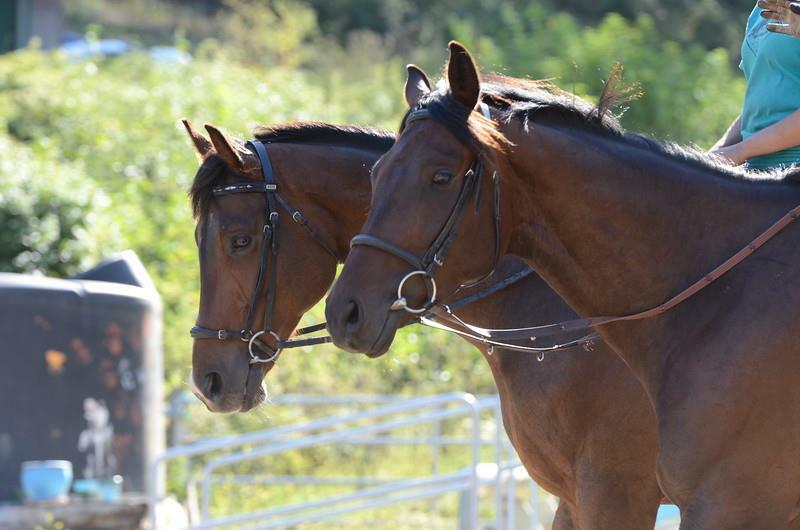 Horses that need a second chance and fit a specific niche in Square Peg’s program are accepted. Currently, the program houses 21 horses. New horses in the program are “all square pegs; many of them need some sort of physical rehabilitation,” Dunlap reports. The trainers and racetrack veterinarian at Square Peg assess each horse’s needs. Some of the horses at Square Peg are adopted out of the program. The horses are not actively listed as adoptable animals, but members in the Square Peg network who have formed a unique attachment to one of the program’s animals often take them home. When asked about Square Peg’s success stories, Dunlap talked about a 26 year-old man, “D,” who works with Square Peg. He and his father own racehorses, and he is a Thoroughbred enthusiast through-and-through. Dunlap said, “He had anxiety about finishing his college degree due to his autism. He had given me a paper that he had written on himself for his psychology class, and I realized when I read it what a good writer he is. I asked him to edit a grant for me, and he now writes all of our grants.” Soon, she hopes to connect him with a nearby dog rescue that is also in need of a grant writer. Dunlap is extremely proud of the career path “D” found through Square Peg.